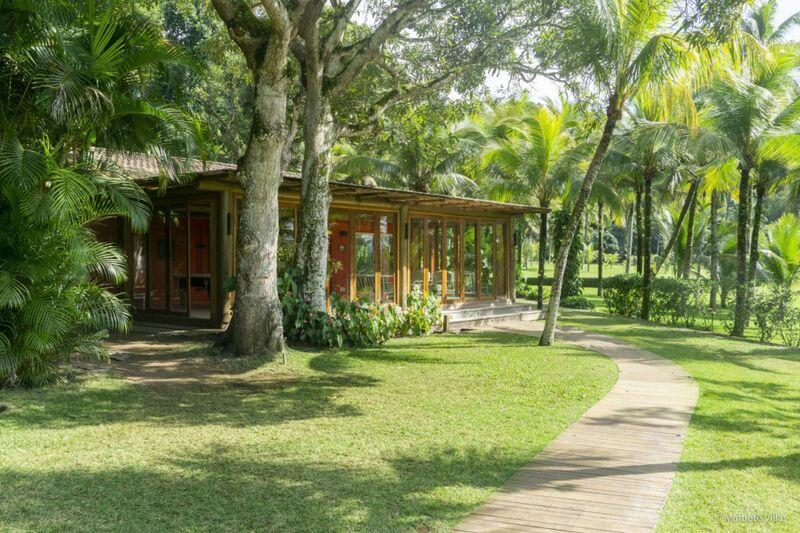 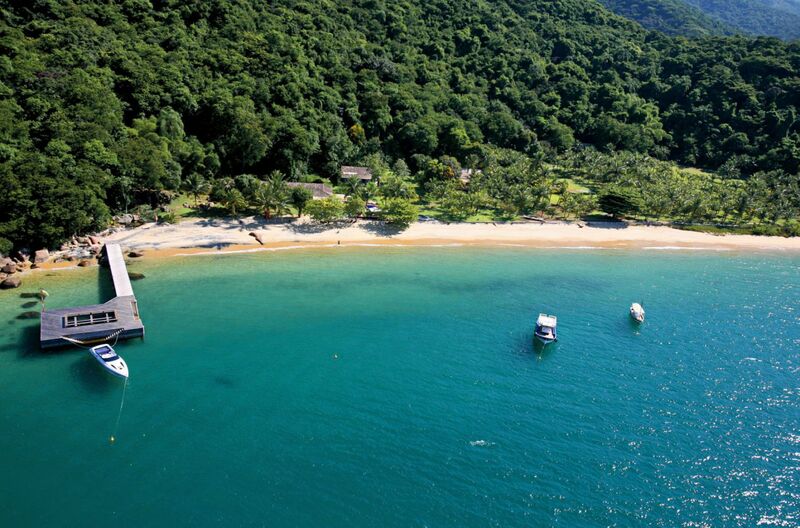 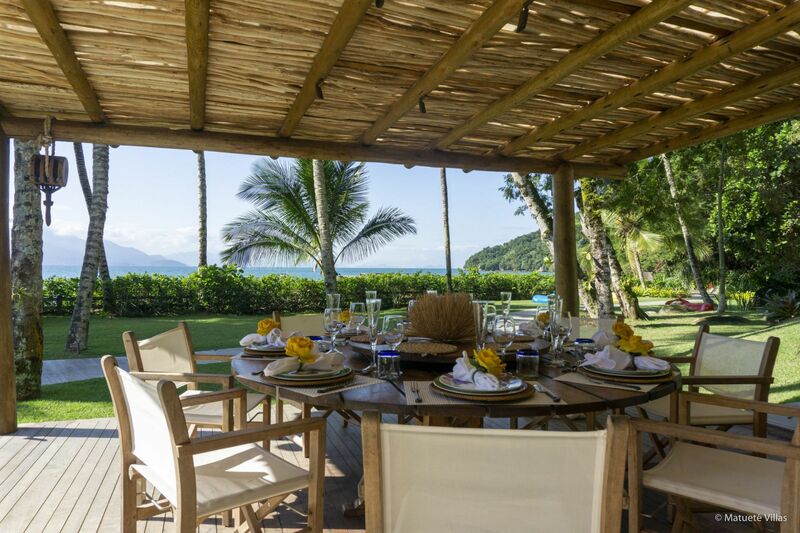 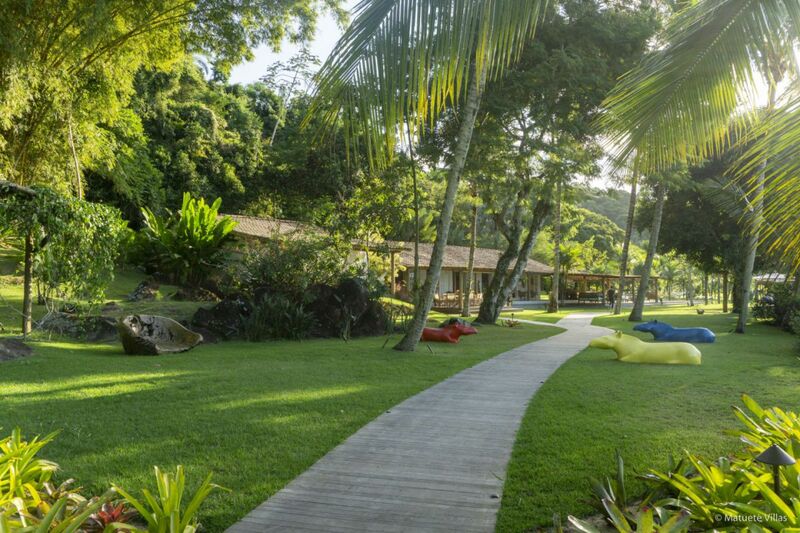 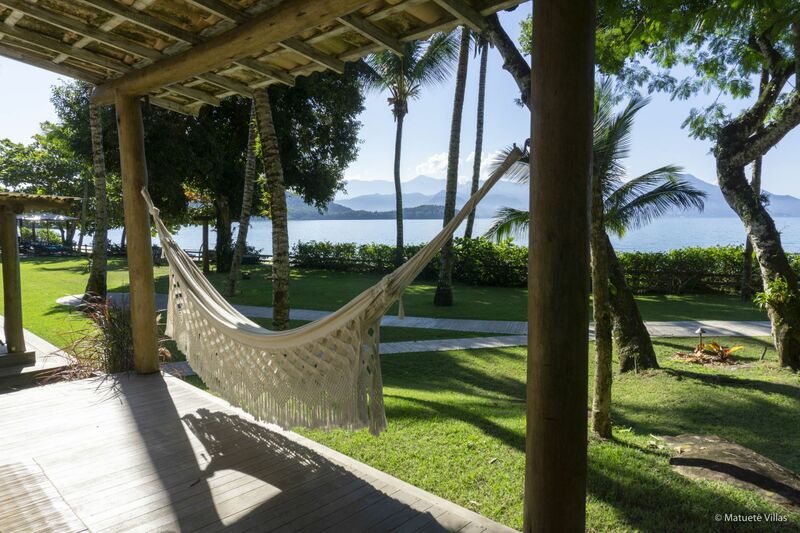 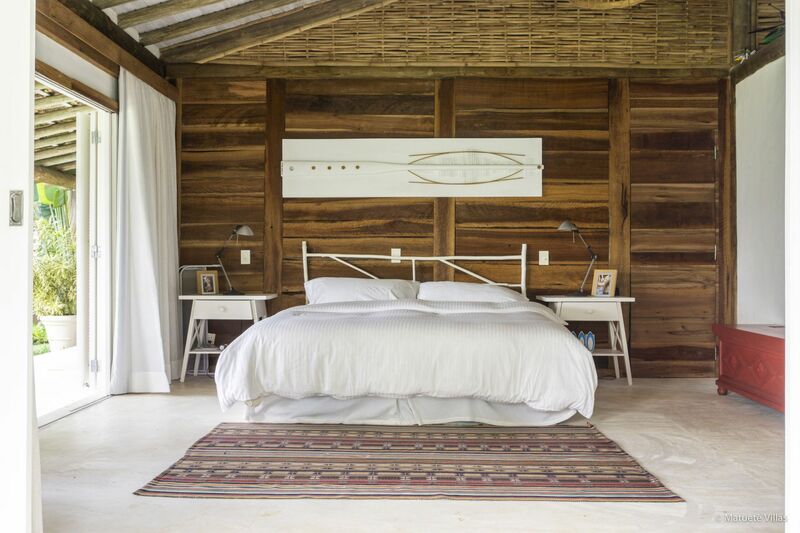 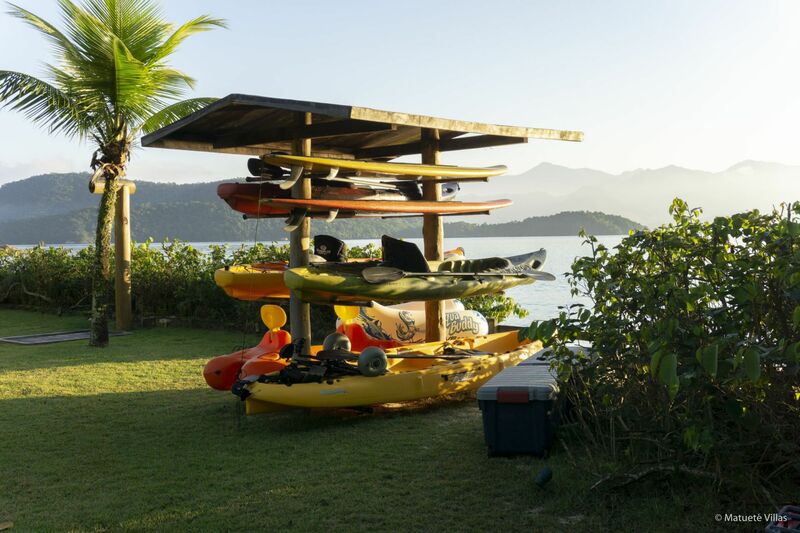 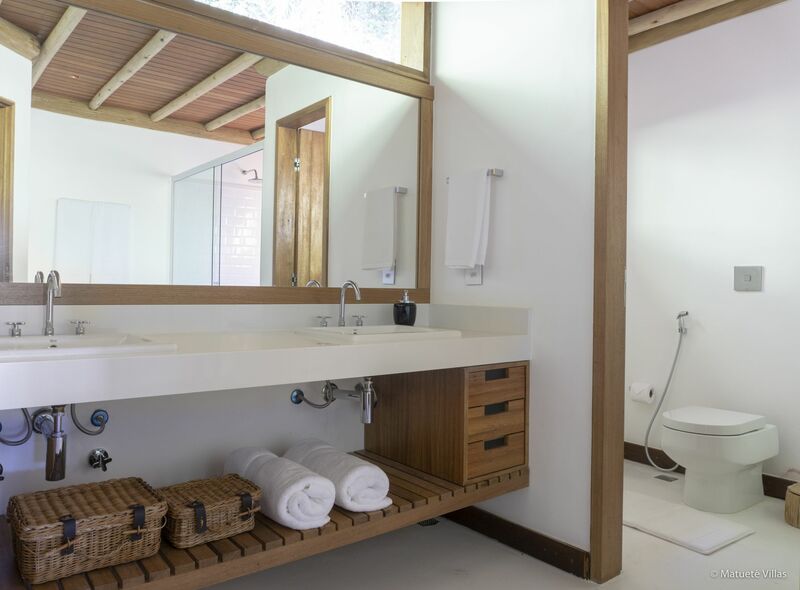 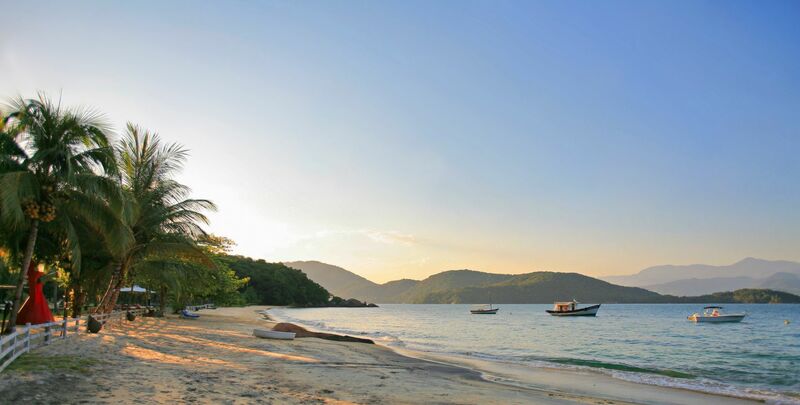 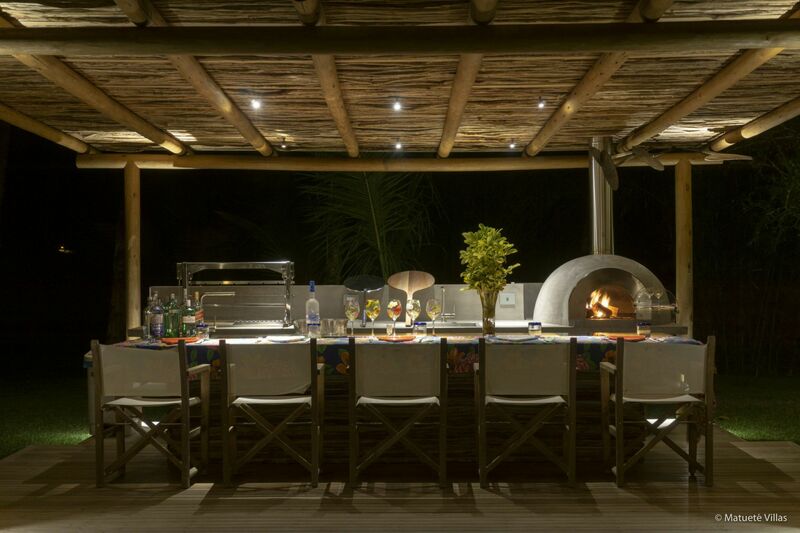 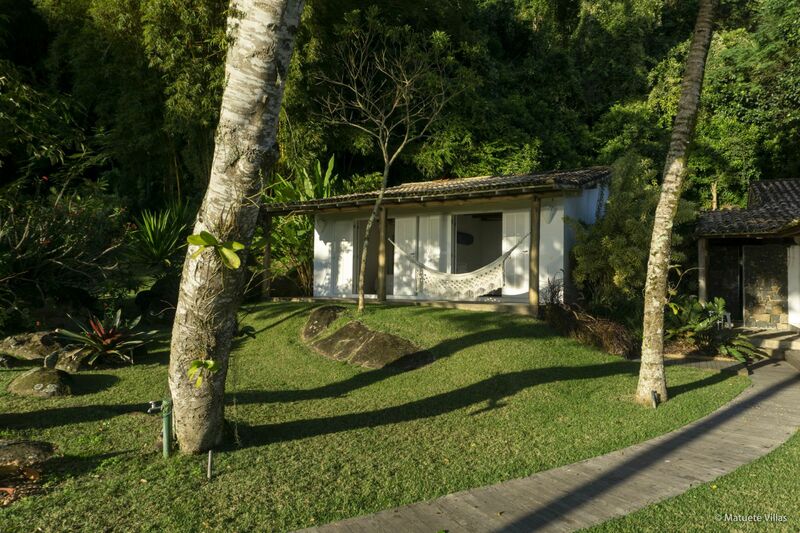 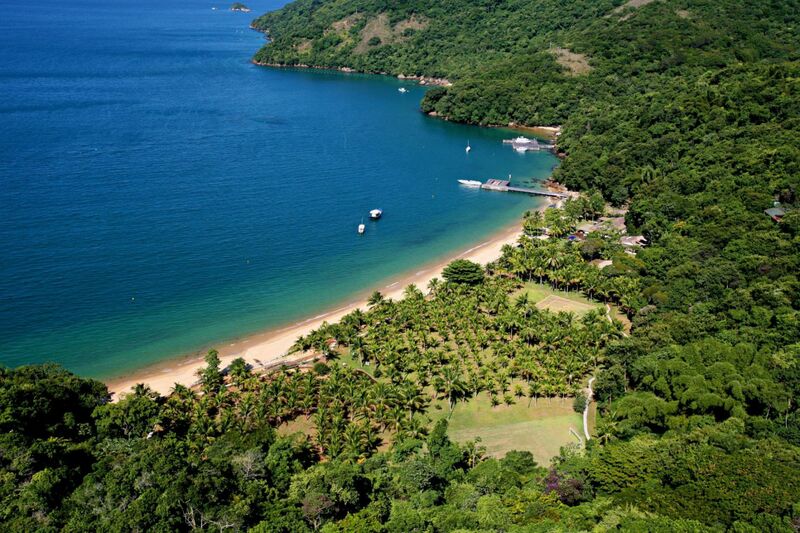 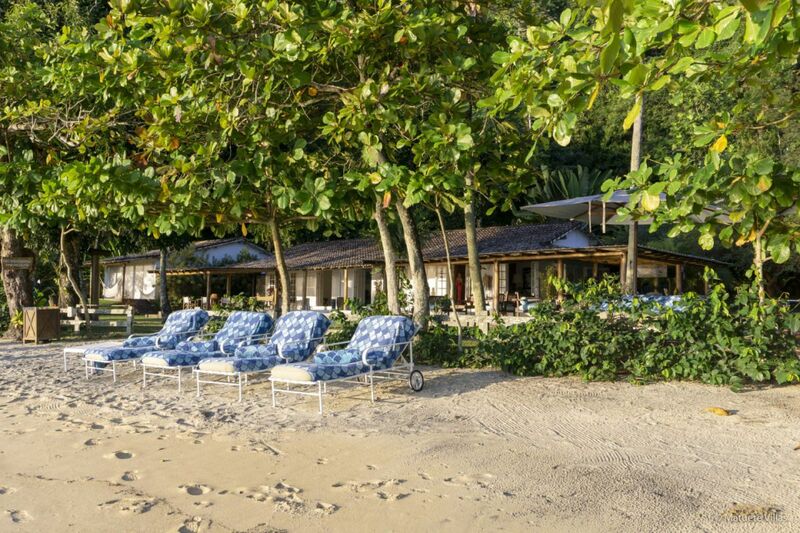 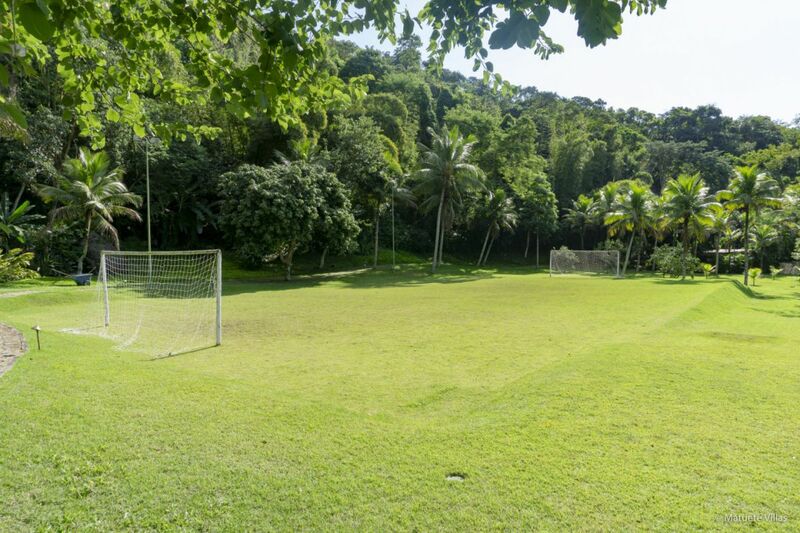 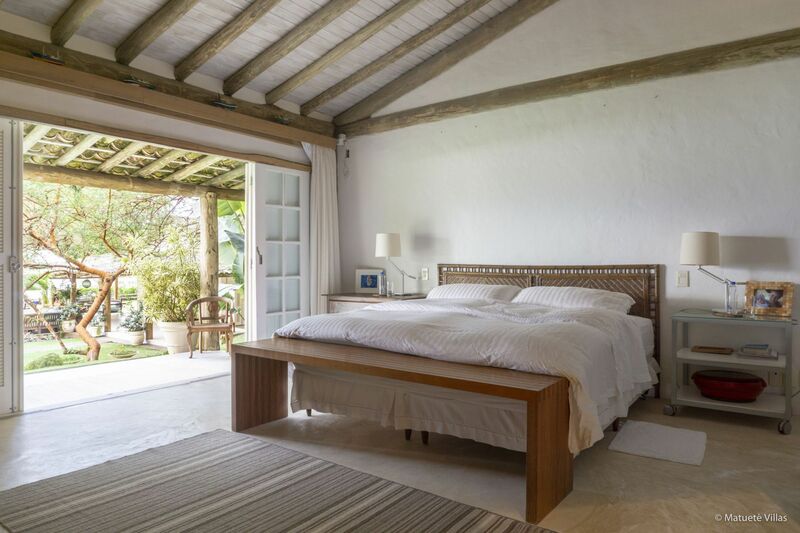 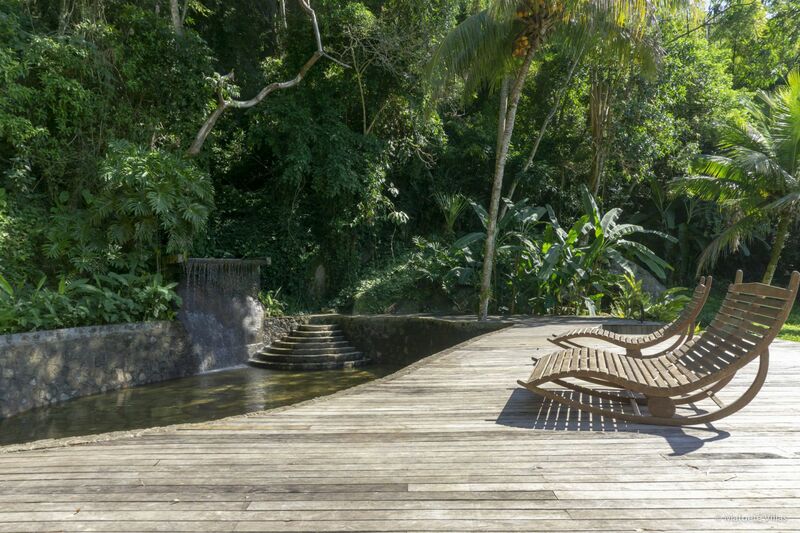 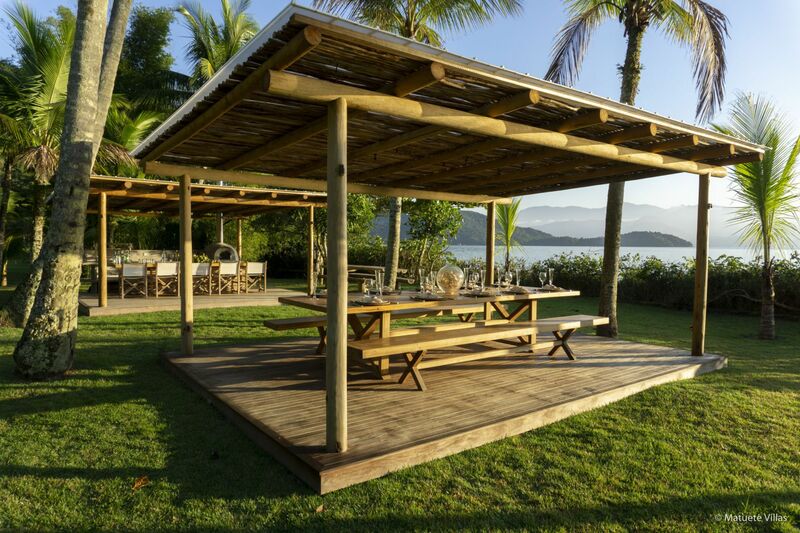 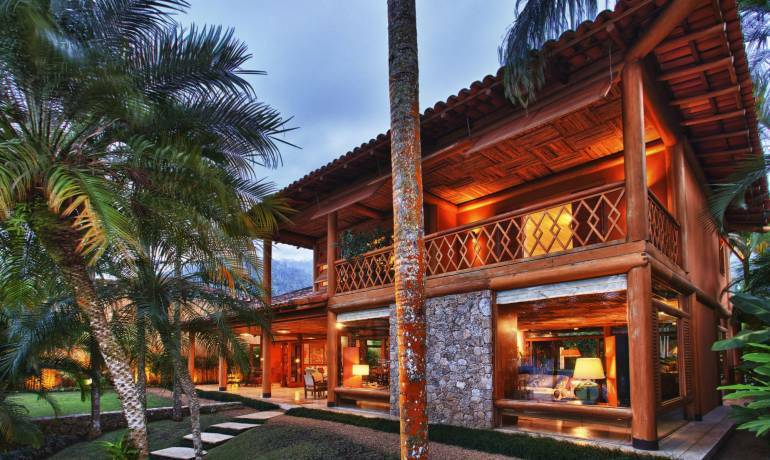 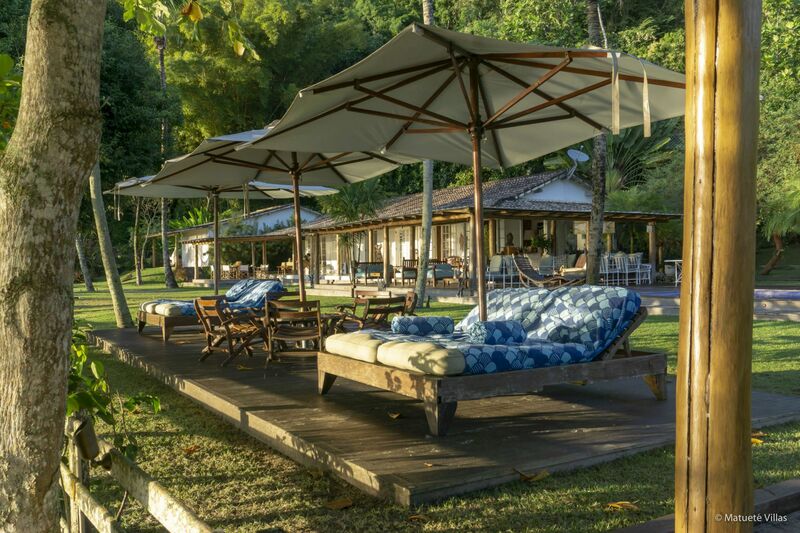 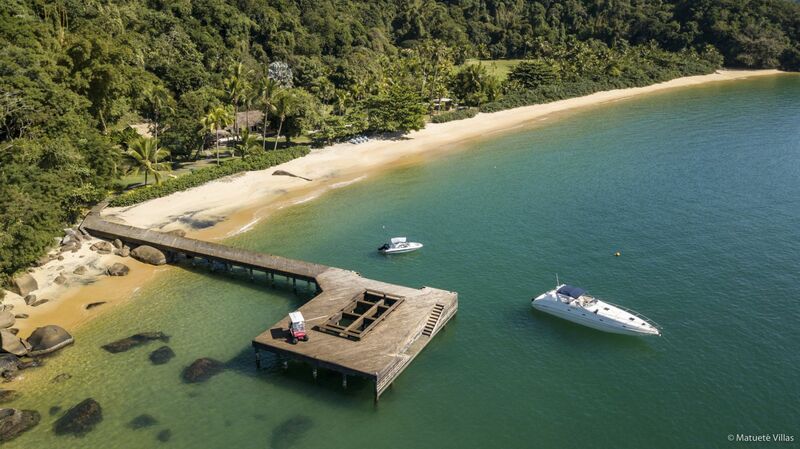 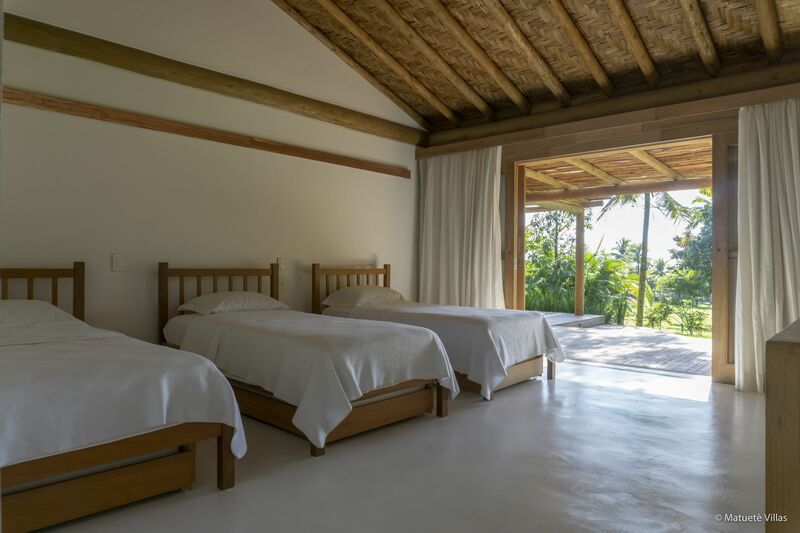 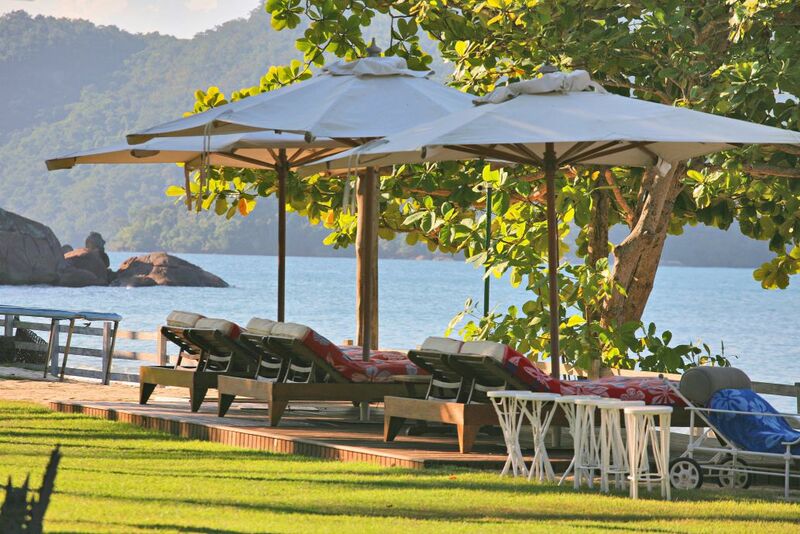 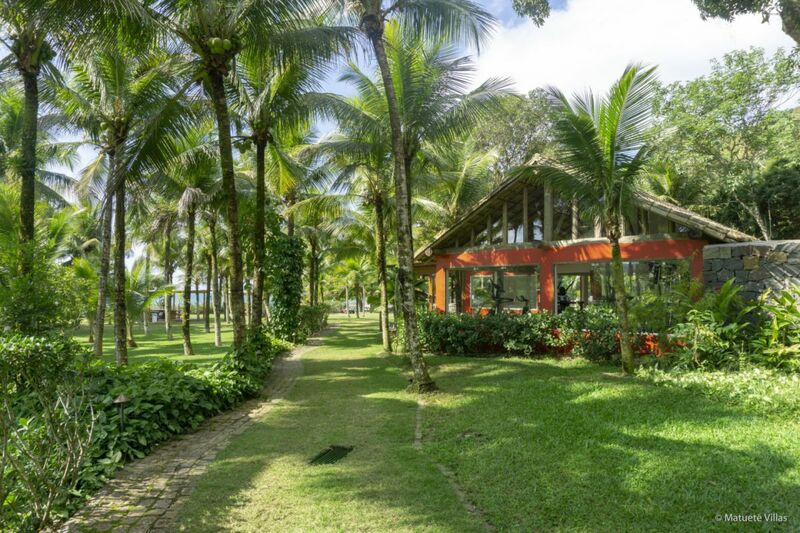 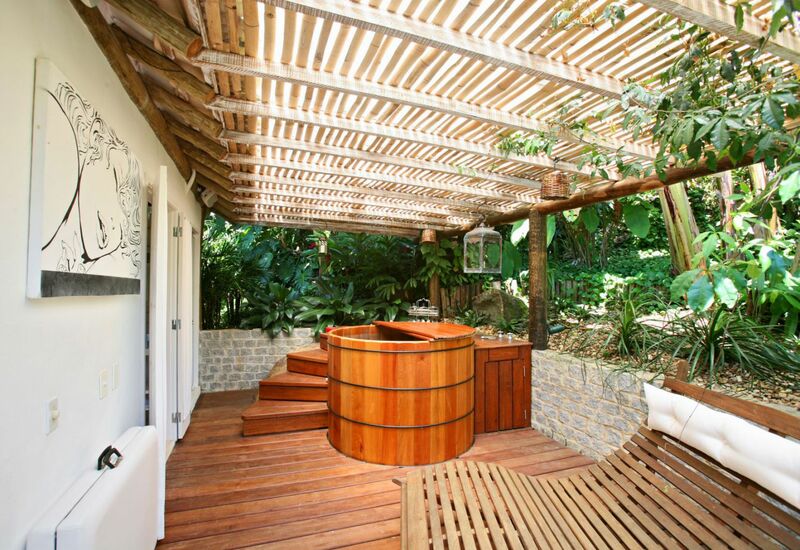 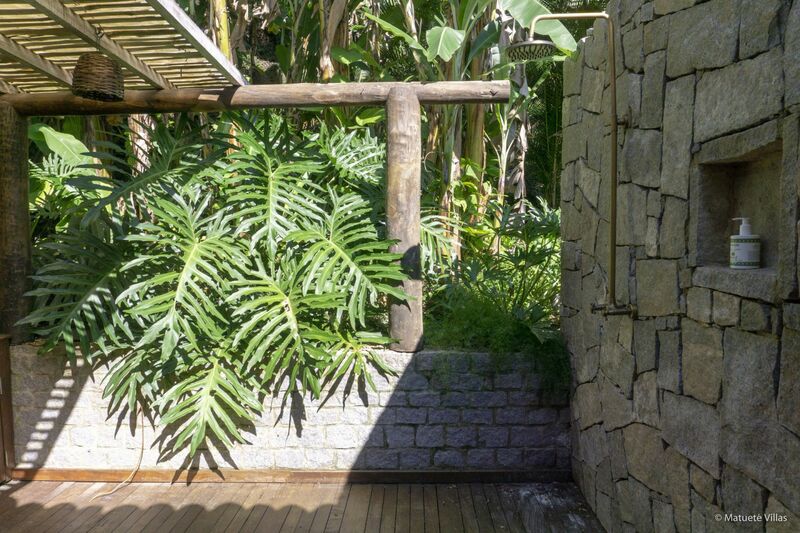 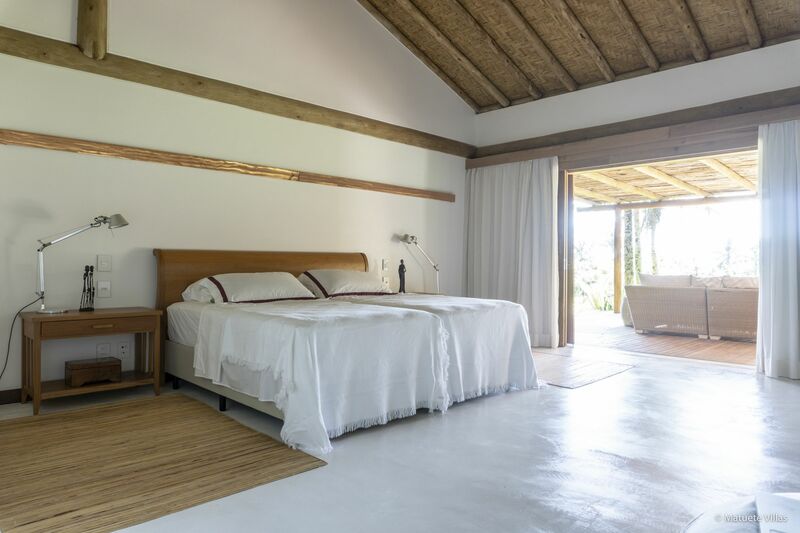 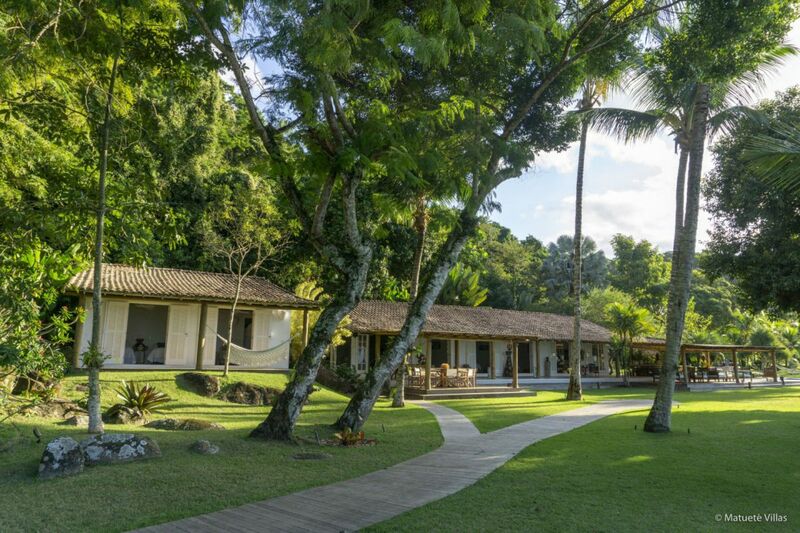 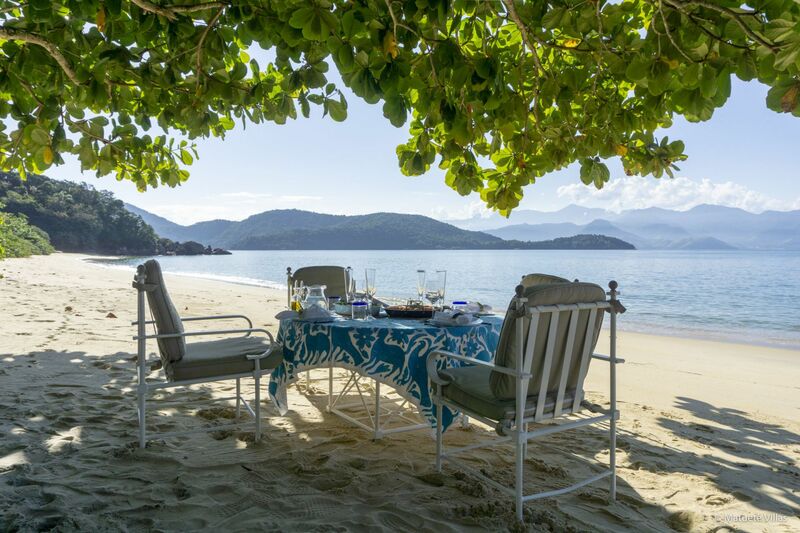 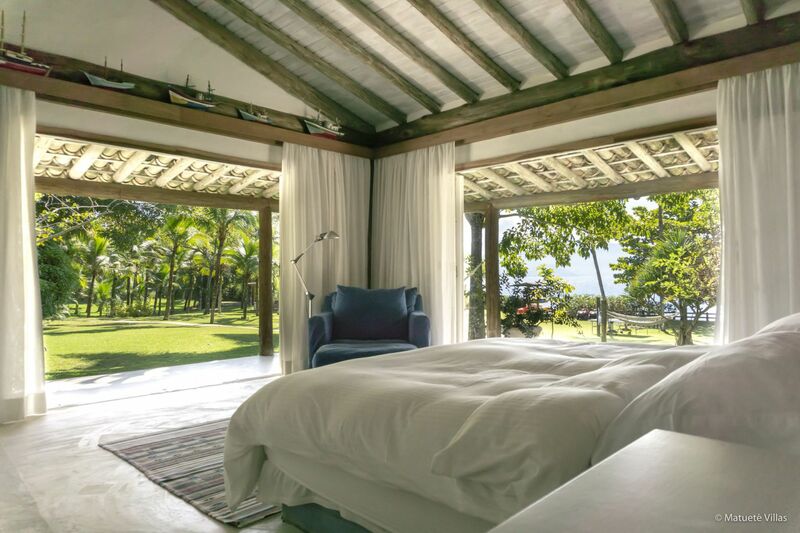 Our Angra dos Reis Villa 3 is located on Ilha Grande, at a semi-private beach exclusively occupied by the property. 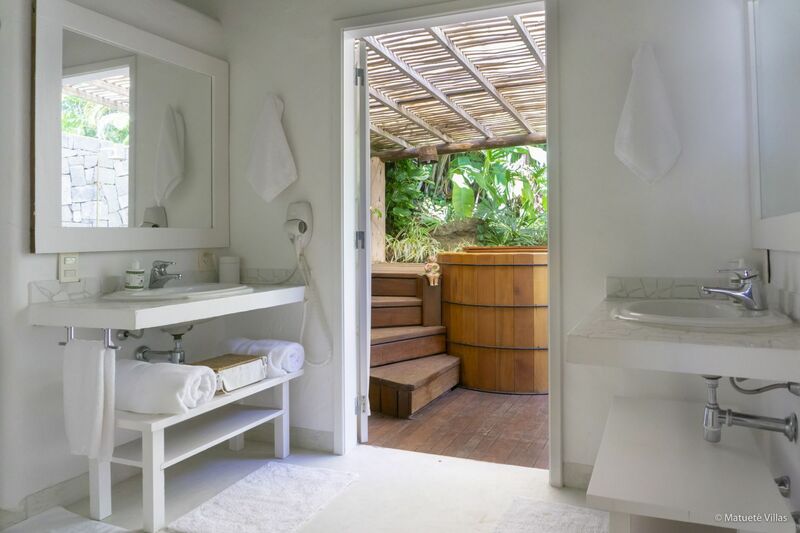 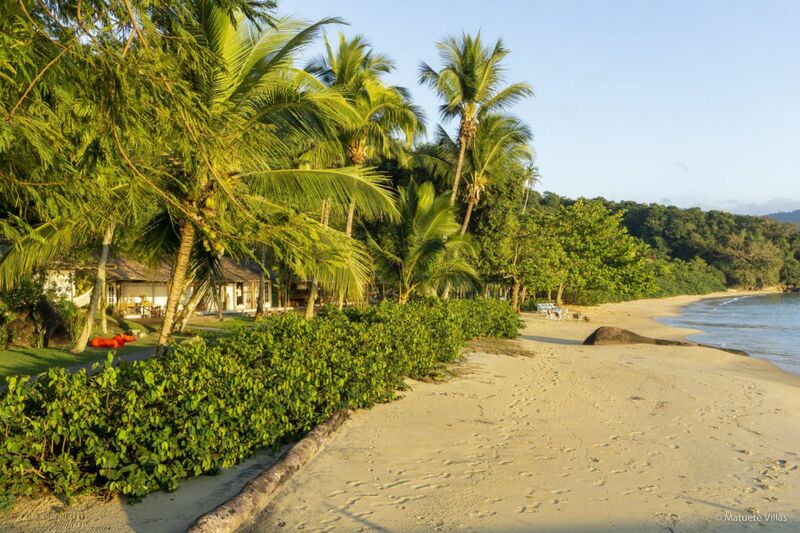 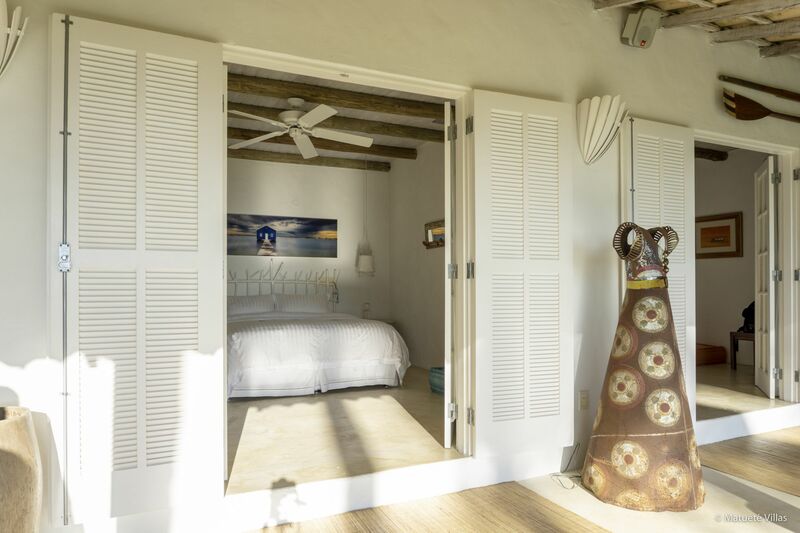 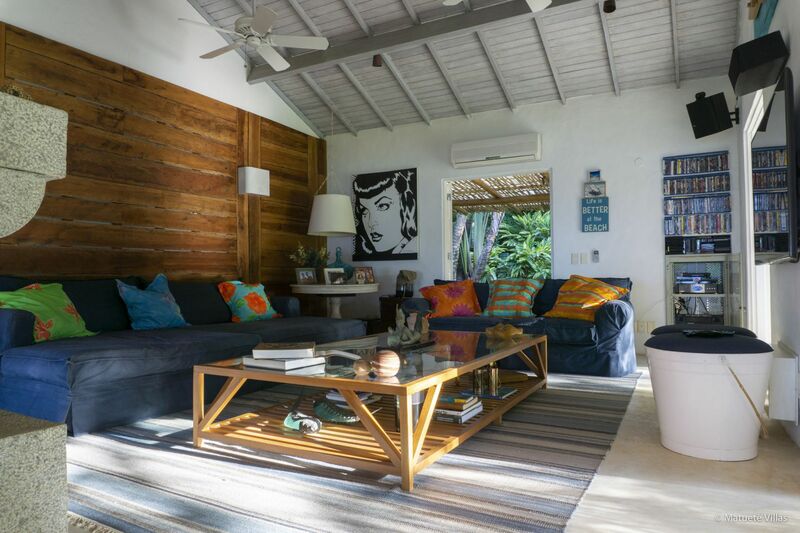 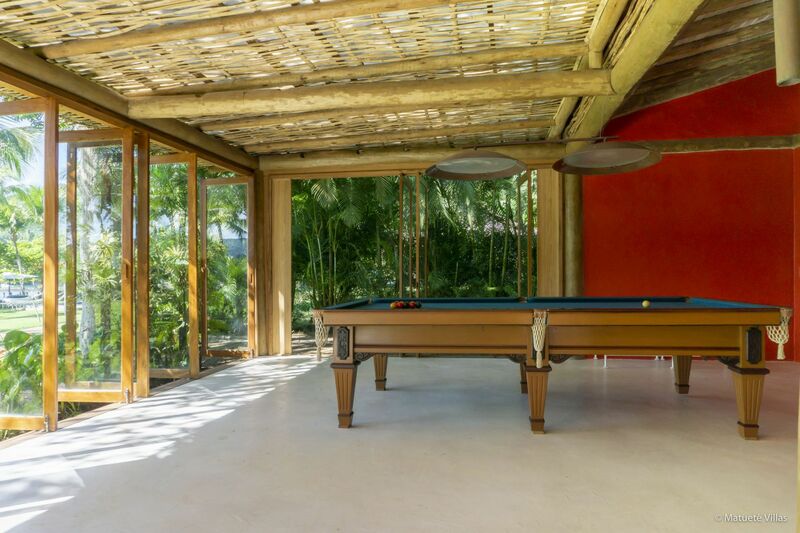 In a paradisiacal scenery, this house occupies a big lot right in the beach, surrounded by coconut trees, boasts a natural water pool, and all of its ensuites are distributed on the 2 houses and 2 bungalows. 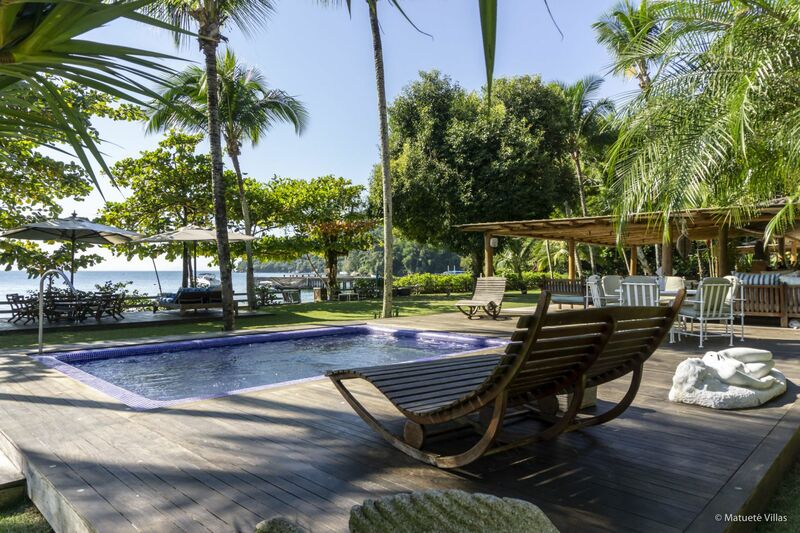 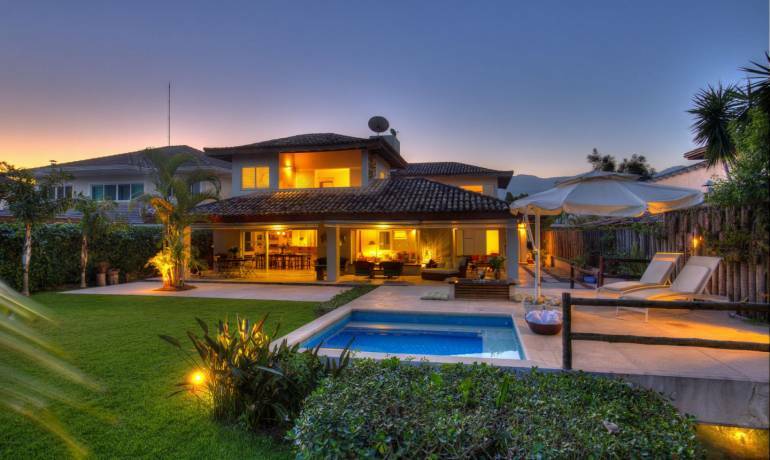 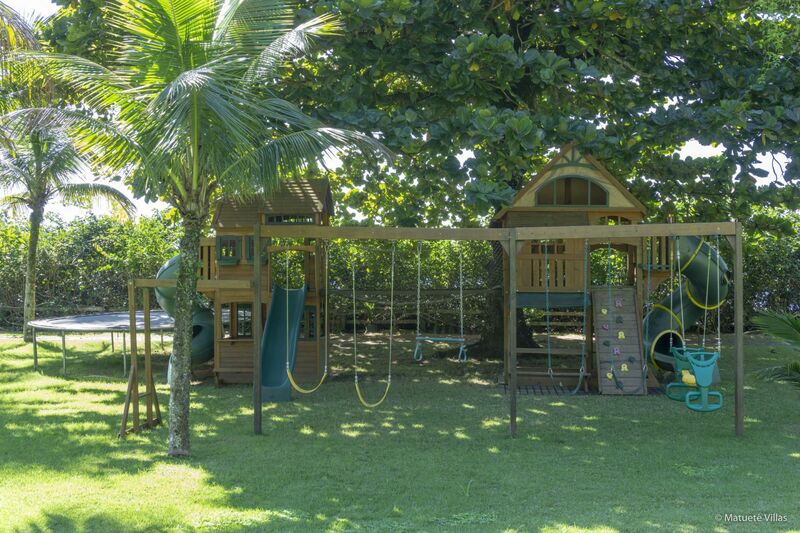 Angra Villa 3 is perfect for families with children, who can run freely through the beach and enjoy a pool, playground with lots of privacy and security. 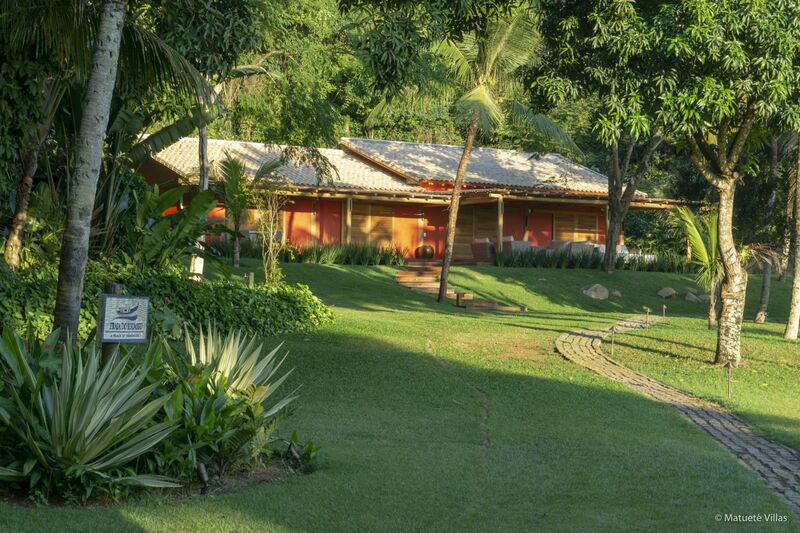 The experiences you can have at the house are uncountable. 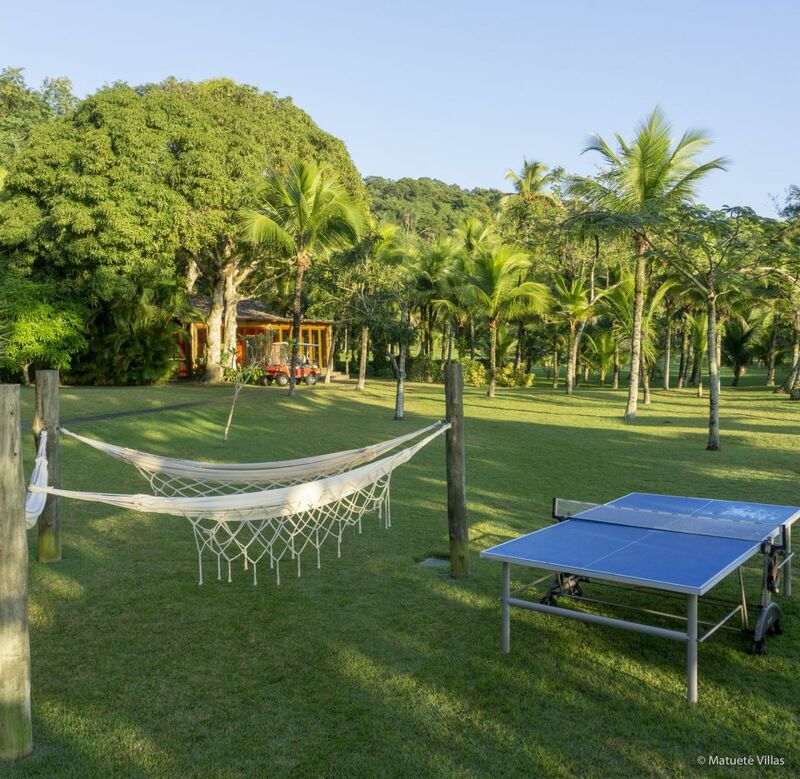 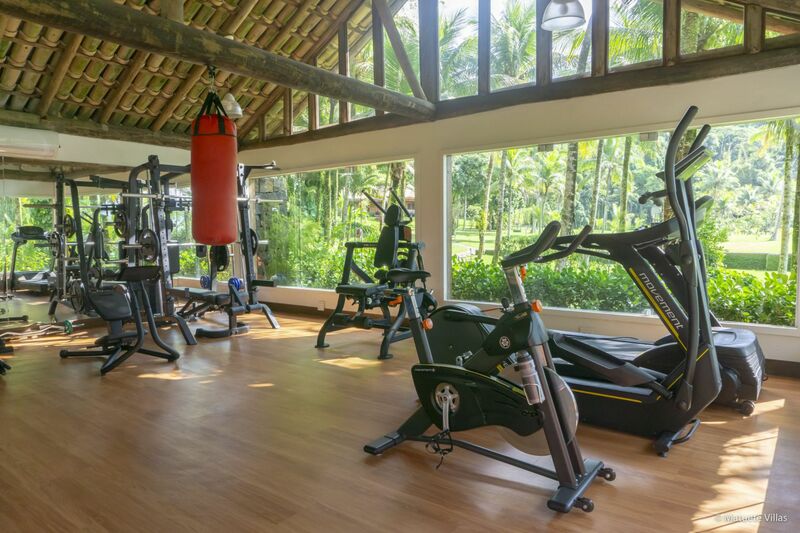 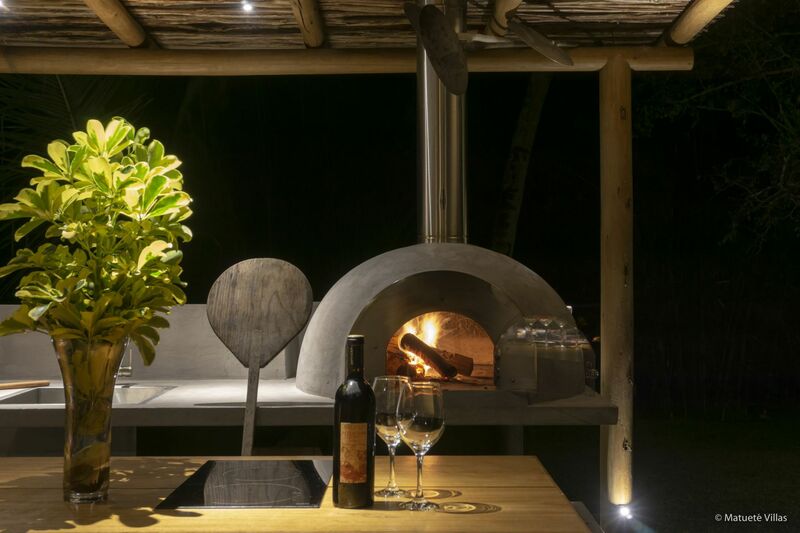 A lunch on the beach under the shade of an almond tree, play ping pong outdoors while being surrounded by untouched nature, enjoy sauna, gym, pool, play a match on the semi-professional soccer field or have a homemade pizza and barbecue to close the day. 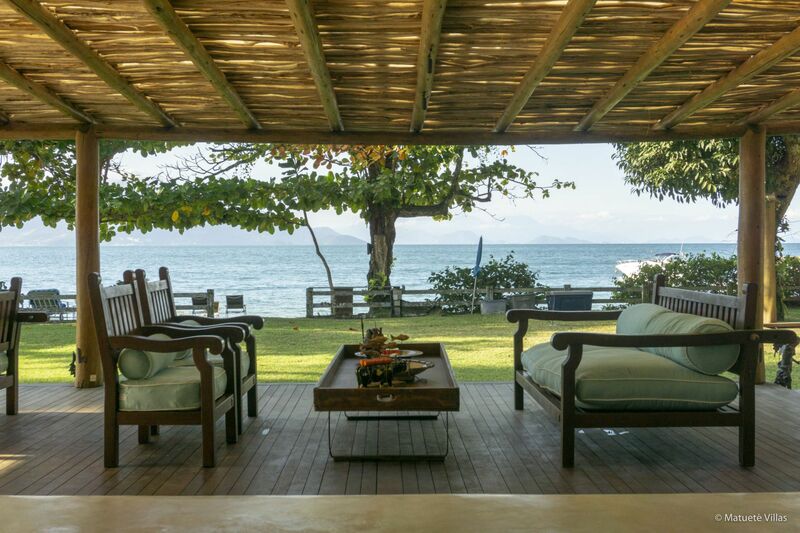 One can hear and see the sea from every corner of this villa. 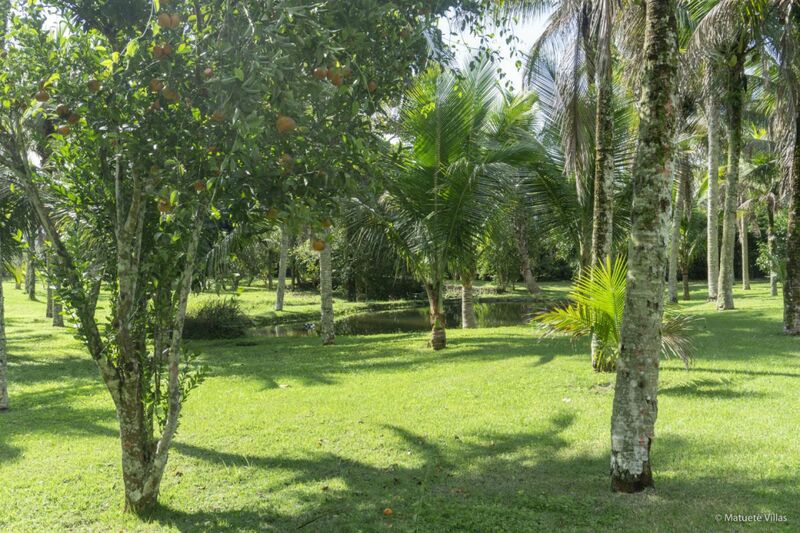 The staff of the house is very kind and friendly, always ready to prepare drinks with harvested fruits on the house’s garden and to please the guests with unique experiences in this little piece of paradise. 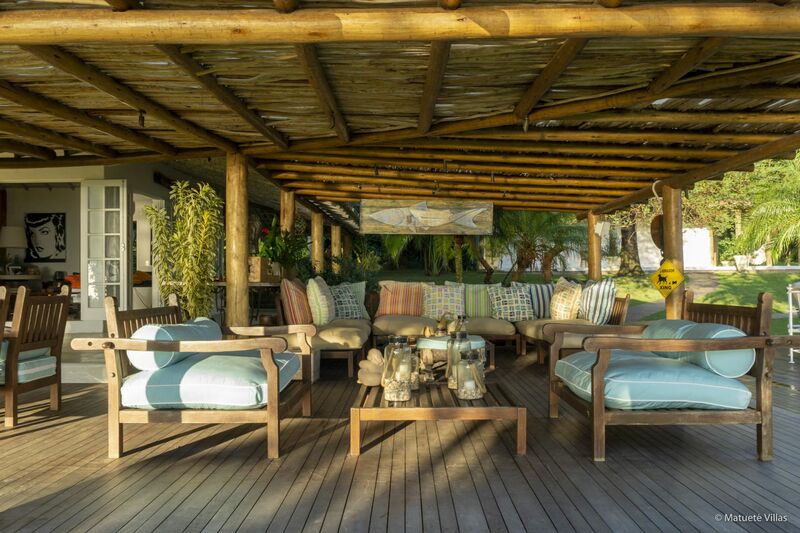 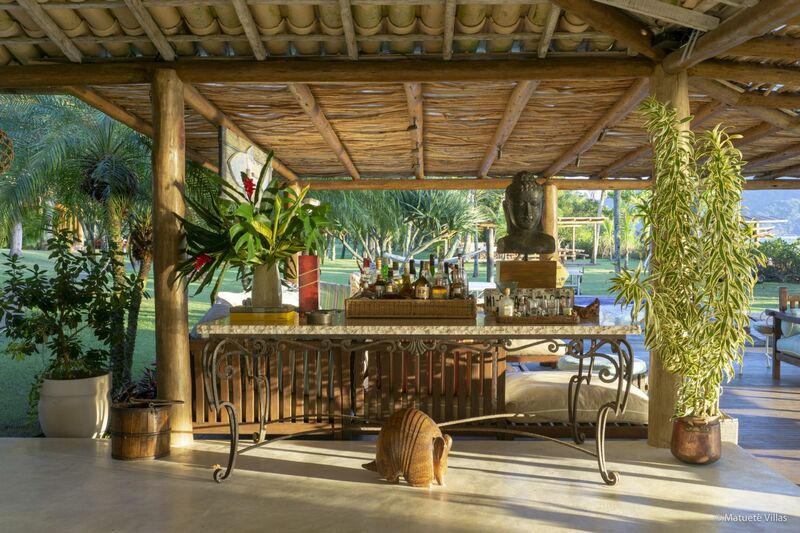 Enjoy a caipirinha prepared with the harvested fruits of the villa’s garden. 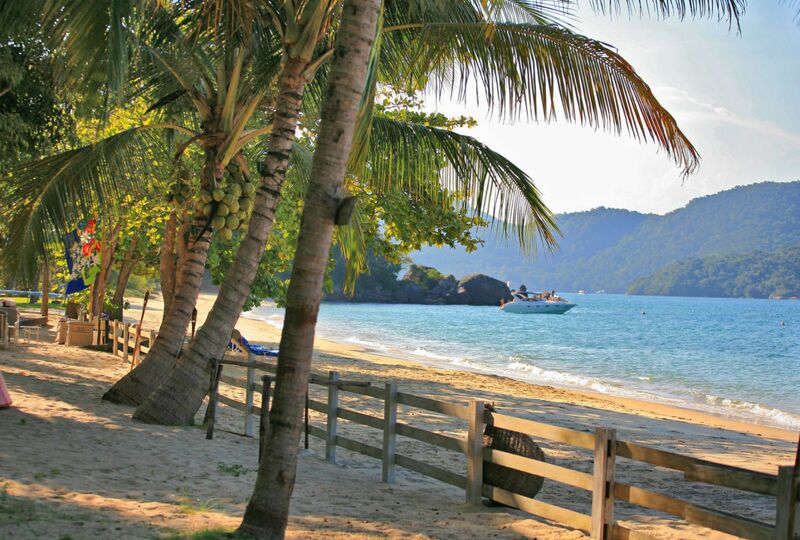 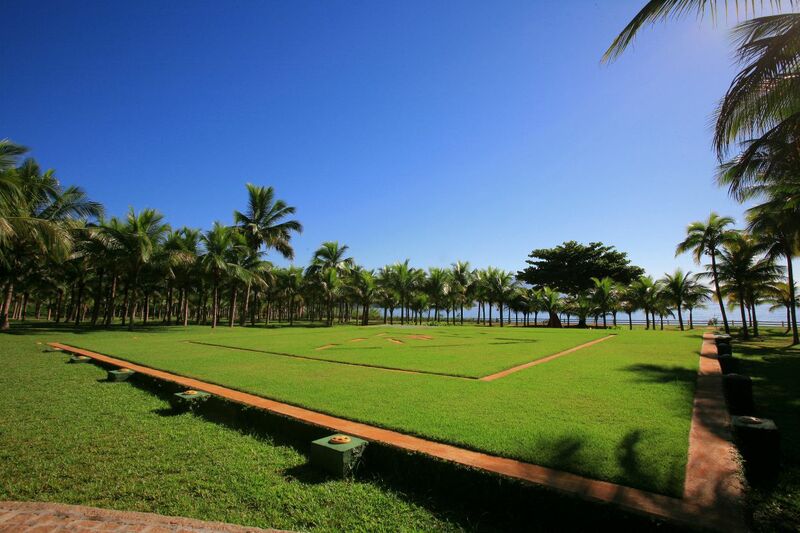 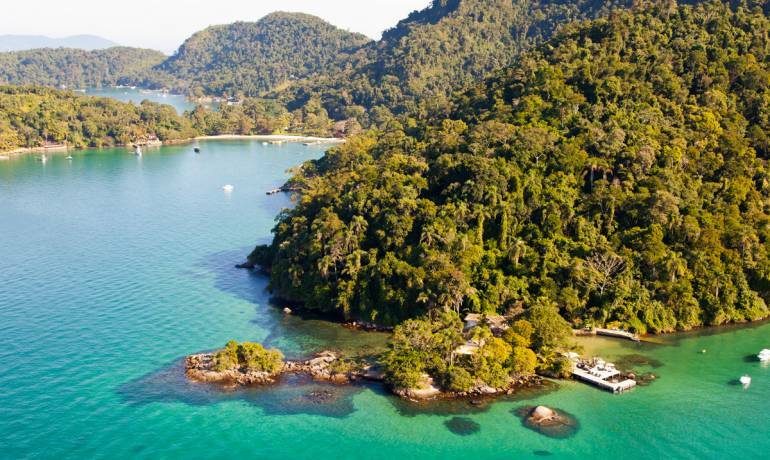 Located at Gipóia Island in Angra dos Reis, it has exclusive access by boat or helicopter.